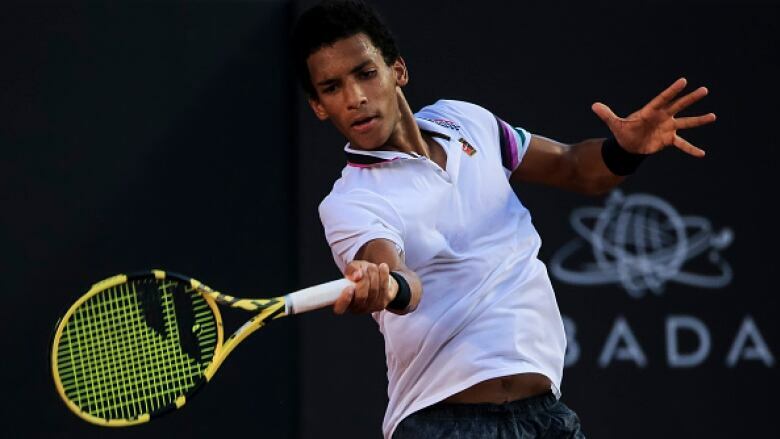 Montreal teenager Felix Auger-Aliassime continued his impressive run on clay courts Thursday with a 7-6 (2), 7-6 (5) win over Spain's Albert Ramos-Vinolas at the Brasil Open. Auger-Aliassime, currently ranked 60th on the ATP Tour, fired 16 aces in the match that took two hours 10 minutes to complete. The 18-year-old Canadian won 85 per cent of first-serve points but only 40 per cent on second serve. But Auger-Aliassime kept the pressure on his veteran opponent. Though he only broke Ramos-Vinolas once, he had eight break-point opportunities against the Spaniard. Ramos-Vinolas, a former world No. 17 currently ranked 86th, converted one of his two break-point chances. Auger-Aliassime will face Laslo Djere in the quarterfinals after the Serbian downed Malek Jaziri of Tunisia 6-3, 3-6, 7-6 (2). Djere defeated Auger-Aliassime in the final of the Rio Open last week.